The Raiders are embedded in Cronkhite Bunker, an abandoned EMC bunker and armory. They cannot be allowed access to the dangerous weapons inside. Work with Torc to break their hold of the bunker. Requires: EGO Rating 500 or Main Mission "Seize the Day, Control the Future"
25 most recent threads that mention "Commandeer Cronkhite"
I've added numbers to the markers, will probably now list them all on the right as well. What I really need is some new icons to use, it's very samey. This is really good. 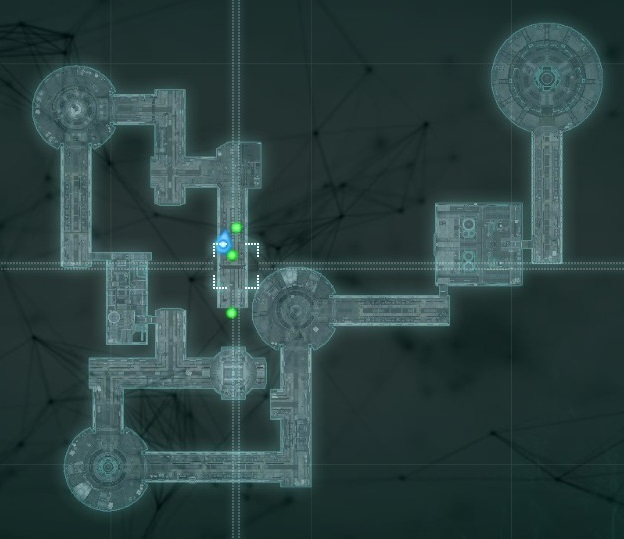 Adding the numbers to the data records would be helpful but if we add a marker for the instance entrance it would already help who is viewing the map to figure out the order since most instances are very linear. Displaying an image for the data recorder wouldn't be impossible, but it would be difficult to decide how to show the recorder in a small enough image with enough detail to get across the location. I do allow them to be clickable which takes you to the full page. I would like to indicate the order in which you traverse the instance, so I should preface them with numbers yeah. I love the markers! Thanks much! I wouldn't mind filters if time permits and we still had the "all" option. If I had a suggestion, it might be to number the descriptions to make it clearer if reversing oneself will be required. All else seems great but am admittedly newish. What do you guys think about the markers I've plotted on the map? I have done this co-op instance as a trial. Should I have options to filter some of the markers? Do I need to display them?